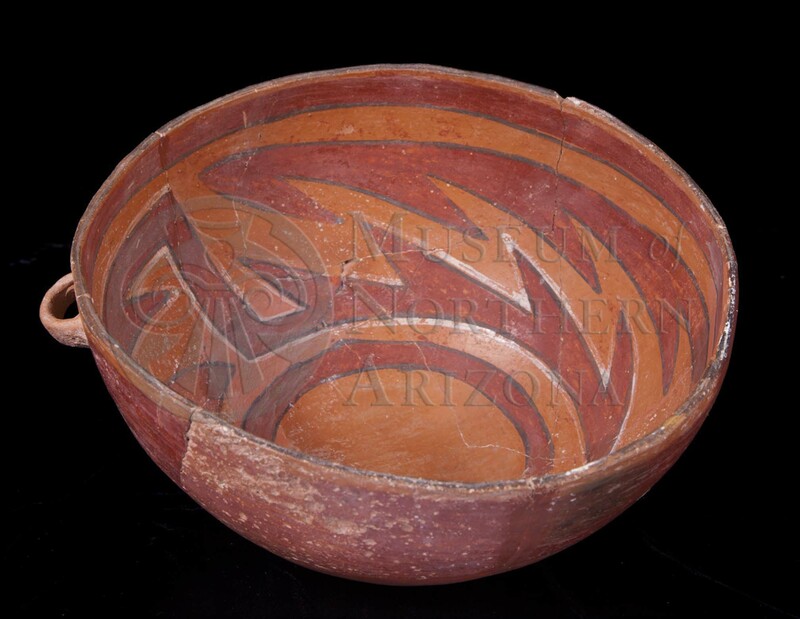 Kayenta Polychrome bowl from the Museum of Northern Arizona collections. Click the image to open the Kayenta Polychrome gallery. Kayenta Polychrome is a type of Tsegi Orange Ware common in northeastern Arizona. 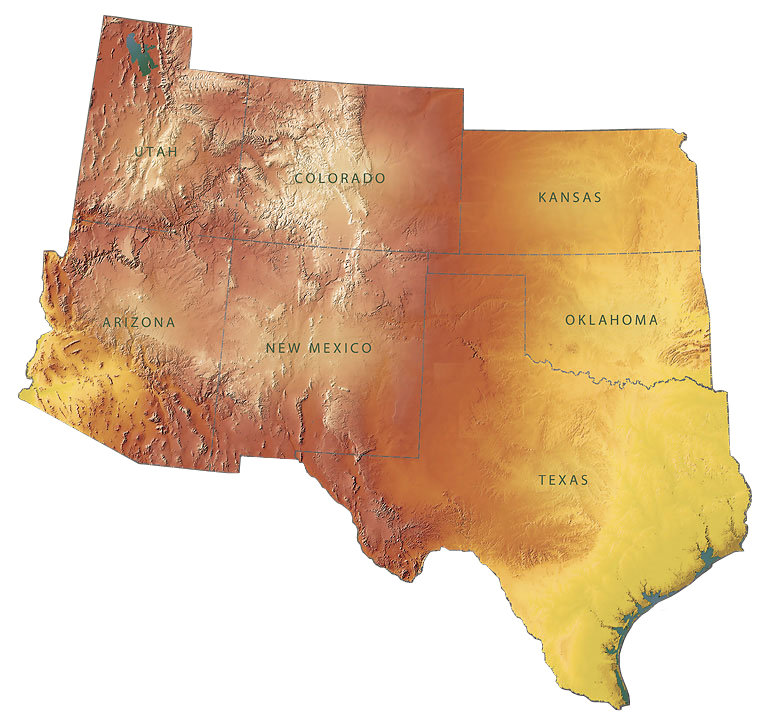 Date Range: Kayenta Heartland: A.D. 1250-1320 (Christenson 1994), Flagstaff Region: A.D. 1225-1290 (per Christian Downum, Northern Arizona University). Firing: In an oxidizing atmosphere at end of firing period. Surface Finish: Bowl surfaces sometimes bumpy, polished; scraping and polishing marks often visible, sometimes compacted. Surface Color: Orange; color surface and core usually do not contrast except when core is gray. Vessel Thickness: 3.6 to 7.3 mm; average 5.3 mm. Design: Red design: interior- vertical, horizontal, diagonal stripes; often an encircling stripe below rim. Black design: narrow line outlining red area; horizontal and diagonal hachures in rectangular or triangular panels between red areas; wide staggered lines between series of narrow lines. White design: usually narrow white lines outlining black lines; sometimes white outlining red areas; exterior sometimes undecorated but usually one to three red stripes encircling vessel. Comparisons: Tusayan Polychrome is similar but without the white line decoration.